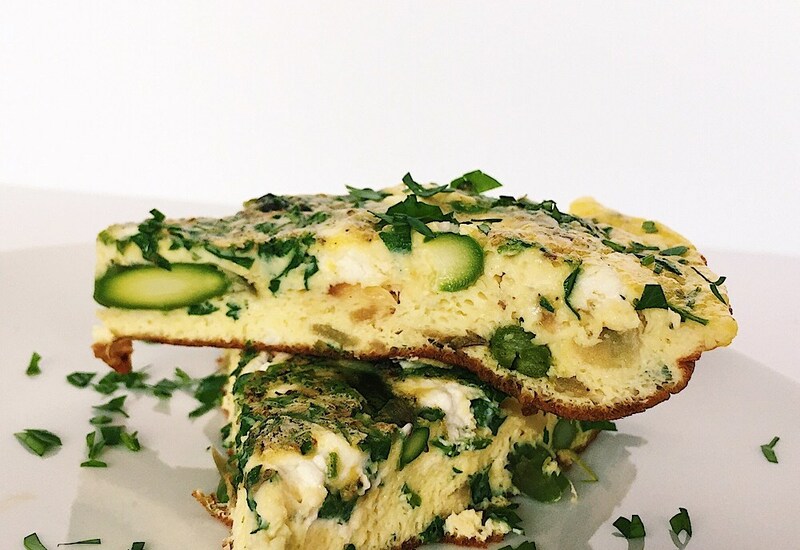 This frittata makes a perfect light breakfast or lunch. Eggs are whisked with a bit of plain yogurt, oregano, and parsley. Sliced onion is sauteed in olive oil with garlic and asparagus spears. This classic egg dish tastes like a fresh spring day! Plus, flavorful goat cheese crumbles add just the perfect amount of tang and creaminess to every bite. Everything comes together in just about 40 minutes for a meat-free meal that is simple yet elegant! Asparagus out of season? Use whatever is in season instead. Broccoli florets or cauliflower, available year round, would be a great substitute. Add chopped sausage or bacon if you aren't vegetarian and want a little extra protein in your meal. Swap in a different cheese if goat cheese isn't your thing. Feta cheese crumbles or shredded Gruyere cheese are great options! Per Serving: 296 calories; 22g fat; 3.9g carbohydrates; 19g protein; 429mg cholesterol; 537mg sodium. I love the combination of eggs and goat cheese. This recipe is easy to put together and has a lot of good payout - it's delicious to eat and beautiful to look at! Make sure to serve it hot! I love making frittatas, especially for brunch! This asparagus version is super delicious, and perfect for spring and summer.